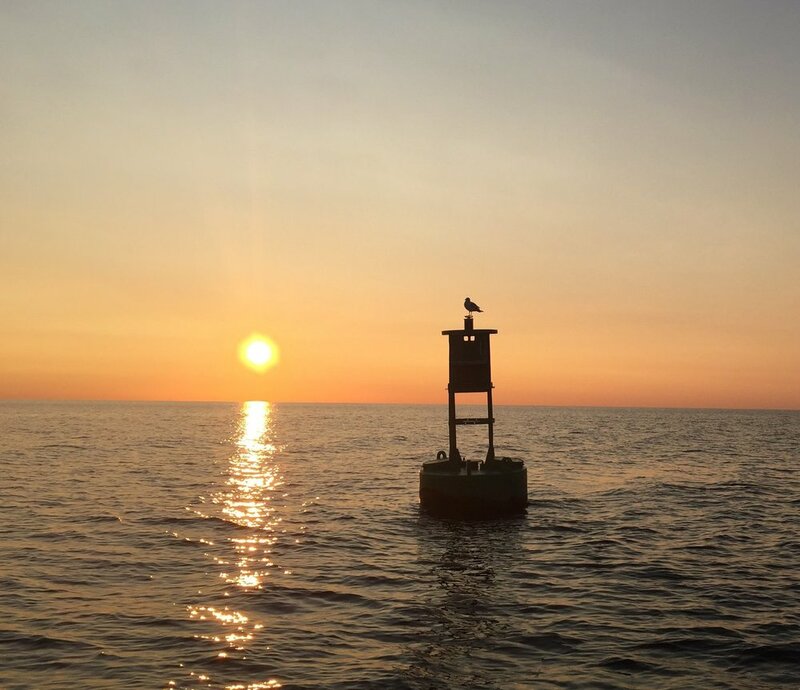 "We Take You Where you Want to go"
MOCKINGBIRD CHARTERS is the operator of the Motor Vessel MOCKINGBIRD which is based out of Detroit Harbor on Washington Island. She is engaged primarily in taking visitors, workmen and supplies to nearby Plum Island, but is available to take people on tailor-made cruises most anywhere in the Door County Island Chain. May 27th 2019: Plum Island Opens to the Public. Our most popular tour is our Plum Island Run. Other possibilities are a trip up the west side of the Island for lunch at Jackson Harbor Soup and Sandwich, cruising Death Door at Sunset, a trip over to Pilot Island to view the abandoned lighthouse, snorkling over the wrecks of the"Grapeshot" and the "Louisiana" There are many more possibilities: just tell us what you would like to see and we'll make it happen. 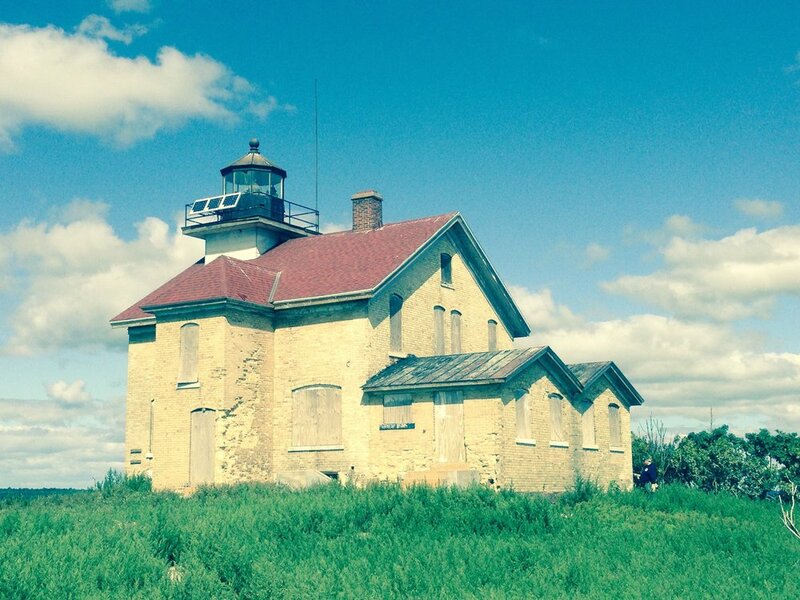 Our most popular tour leaves from the south end of the ferry dock on Washington Island and runs to the old life-saving station on Plum Island. There you can see the boathouse where the Coast Guard rescue boats were launched. 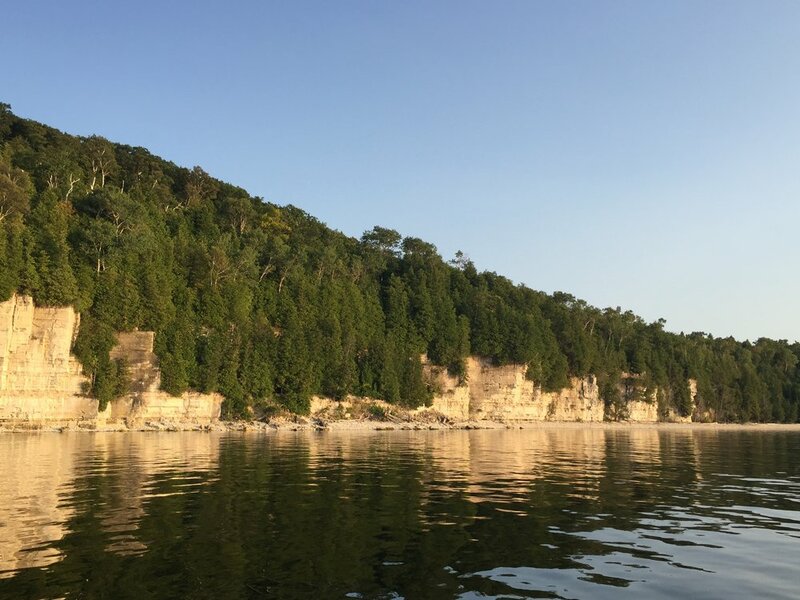 From the dock, hike across the Island and view the lighthouse (Upper Range Light) On the way back, if the water is calm, view the wreck of the schooner "Grapeshot".